Since the old school sound of death metal passed away, only a few old bands didn't stop playing in that style. The rare newbies started so rough as possible. To impress their decimated audience, they didn't slip lower than brutal death . 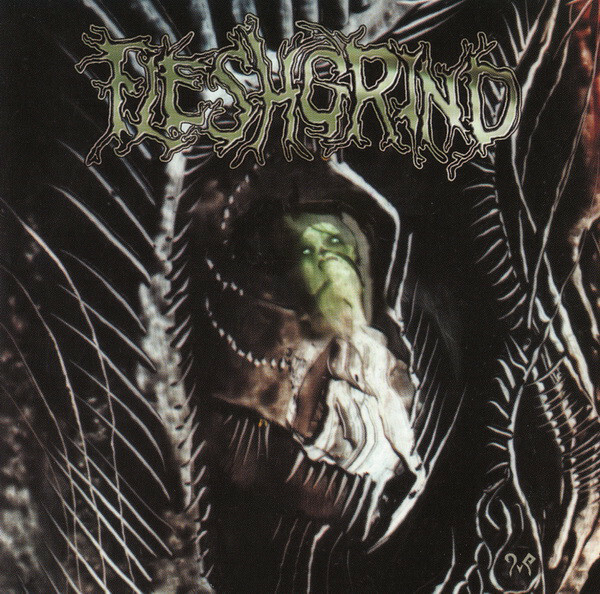 Fleshgrind was a perfect example of the further development of death metal after the mid '90s. It's only one thing that the modern sound of death had to be brutal. 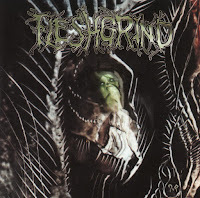 It's also sympathized with technical ambitions and -like in the case of Fleshgrind - with grindcore. Both of these influences were involved to increase the intensity, cause it seemed like even brutal death cannot be enough brutal. Even there was no such competition than before, there was a pressure on the genre that was forced to take a back seat, to show up with something extraordinary. Fleshgrind sometimes used the assistance of sudden theme changes, but they didn't go too far with them. They preferred to experiment with the most exaggerated features and merged from the toolbar of goregrind for occasional speed ups and inhuman vocal style. On the side of the gory and sadistic lyrical topics, the influence influence of Cannibal Corpse is quite evident. This raw and heavy style was exaggerated all-round and enough to impress the fans of musical extremtites. "The Seeds of Abysmal Torment" was probably the most enjoyable album of the band. Immortal Fate had interesting musical progress during their short active period. They started with a Bay Area thrash influenced demo in 1990, but soon they turned into death metal. 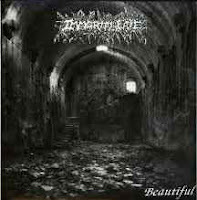 After the "Faceless Burual" EP that was an excellent example of putrid sound, they arrived to the top of their musical progression by the demo "Beautiful", that was lately released in 2000. The band wasn't joking with experimenting, they reached the most exaggerated points, the contrast of grindcore and death/doom. These ambitions appeared on the EP too by some Autopsy influences, but on "Beautiful" they mastered this style like nobody else did before. In ordinary grindcore simple, melodic, punk influenced themes are responsible for the contrast, but in this case a demoralizing, noisy atmosphere. By that the main view takes a way darker and unfriendlier tone. These ominous, heavy themes guiding the listener into the most putrid hellpit, where only insane grinding awaits. Deep, whispering growling assisting to the main view. Some parts are so brutal on this short record, that they could impress even the well death/grind trained audience. The sound is primitive and noisy, fits perfectly to this style. "Beautiful" is definitely a masterpiece (unfortunately an very underrated and barely known one), musickness on it's defining level. 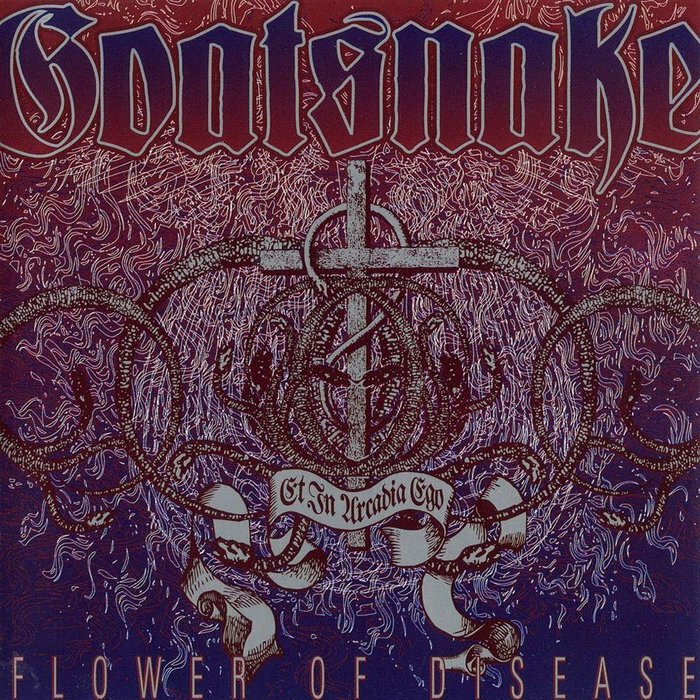 Inspired by the earliest stoner bands, Goatsnake formed in the mid '90s. They had an intense but less unified full-lenght debut that sounded like the synopsis of their musical influences. 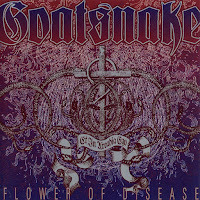 "Flower of Disease", their second album was like the next step, to find their own style and to forge these various influences into a whole. Previously it seemed like they are more into some groovy, '70s influenced stoner rock, but on the second album they returned like doubtlessly being into stoner/doom. The change wasn't so big, the same influences could be sensed, '70s hard rock and Black Sabbath by the themes and at the quite enjoyable mouthorgan parts, Acid King by the slow speed and atmosphere; but this time the doom features gained wider role. It's like if it was a different, more chilling and balanced band with unified and more mature sound. The main feeling is catchy and heavy the same time, and even though it's stoner/doom, it lacks any kind of too dark or demoralizing impression. At least nothing darker than what was usual in the '70s. Both their message and performance are bright and chilling (stoned), and creating some sort of balance with the old school heavy themes. "Flower of Disease" is an excellent nostalgia album and background music for laid back entertainment. "Holy Wood" was probably the heaviest, most and most successful Marilyn Manson album, that finally gave the missing strong character to the main concept of the band. Many things happenend since "The Portrait of an American Family". They tried a way similar to Nine Inch Nails, to change their style on each album; their name became more and more notorious mostly because of their heavy social criticism, that wasn't welcome by those who they referred to; and Mr. Manson personally was blamed by the social media as a scapegoat for murders committed by teens, that is unfortunately counts as everyday crimes in America. Even though the album officially counts as the first part of an album triology, counted from backwards to make things even more complicated, there isn't much sense in the whole thing, except if most songs of "Mechanical Animals" and "Holy Wood" were written the same time when they made "Antichrist Superstar". The musical and songwriting progression develops with time and there are plenty of influences that are having effect on the musicians with time. The album itself had a quite complex concept in general, that draws a parallel between the American gun culture, the harmful influences of social media, religious obsession, martyrdom, and the birth of Adam Kadmon. And of course the indispensable compromise-less social criticism. The main consequences are the same way tragic as heavy. By "Holy Wood" the band reached the top of their limits too, as musically it was their most mature album, and had a strong influence on the main metal scene too. 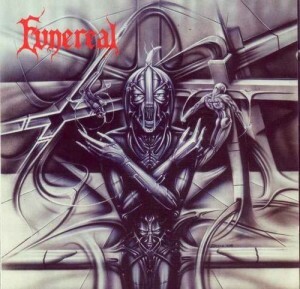 After Contagion disbanded, they returned as Funereal with some line-up change, and a full-lenght album, that introduced a far more progressed band than what was familiar for the underground audience under the name of Contagion. Instead of the simple, raw old school themes a high quality production could be heard on "The Misery Season". It's definitely the work of well experienced musicians. The album starts quite intense and includes strong death/doom influences too at the end. Their music became diversive compared to the old times, and both because of the excellent, well composed themes and the wider perspective. The intense, old school death metal features staying dominant, so "The Misery Season" still has the feeling of the early '90s, but leads further already the same time. It's somewhere between the modern and old school sound of death metal. Their style reminds more to those Northern bands who started with death metal in the early '90s, played already a bit more complex music than most bands that time, and soon changed their style (like old Tiamat or Sentenced for instance). "The Misery Season" also proved that high quality didn't disappear completely from this genre. 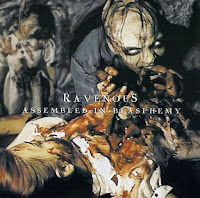 The Ravenous was a side project of Killjoy (Necrophagia) and Chris Reifert (Autopsy). This teamup seemed like was form to reach the deepest depths of sickness and insanty the members could reach. It might not sound like a big competition, since both Necrophagia and Autopsy were famous about their exaggerated level of sickness, but it's always good trying to stretch the borders. Since Autopsy was inactive that time and the members were playing punk influenced death metal in Abscess, some sort of missing feeling for the characteristic Autopsy sound started to develop in the fans of underground. Fortunately The Ravenous included plenty of features like that. Slow, heavy themes, sick melodies in contrast with occasional intense speed, and of course the most revolting imaginations to wish good appetite for the listener. The assistance of Killjoy increased the level of insanity, that is always a nice combination with the sickness that ex-Autopsy members could produce. They also experimented with some noise-based atmosphere that may sound surprising, but fits well to their style. "Assembled by Blasphemy" could be enjoyable for the seekers of Autopsy nostalgia and the lovers of extreme musickness. As one of the very first death metal bands from the late '80s, Nunslaughter counts as a very underrated band. They had to wait a lot for their full-lenght debut and for the wider attention. 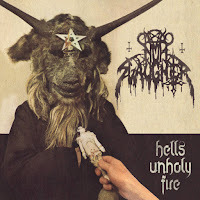 By "Hell's Unholy Fire" a very nostalgic music material showed up that leads back to the birth of death metal. Raw and simple thrash influenced themes, short song lenghts, and common grinding parts are the main features of the album. 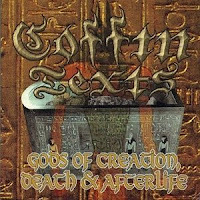 The main concept is primitive but effective, the lyrics might sound immature and based on blasphemies and satanism. But this is just how old school bands were in the '80s. The unrepeateble feeling of those times have returned by first hand, when extreme genres didn't develop yet and included a bit of everything related. So it's like turning back time both in feeling and style by a very authentic band. Probably it wasn't a big problem to put the songs together, cause most already existed since a decade long, but only on demo tapes or split albums, so in the very depths of underground. Many things happenned in the scene meanwhile, and to hear a band with such ancient references is quite extraordinary. Even though the influence of Nunslaughter wasn't mentionable in the development of the gerne, their work counts as an important music document.